It has been well established for decades that the area of the brain we associate with strategic thought is the prefrontal cortex. It is this part that allows humans to process things like -pattern recognition, logical thinking ,probability & risk appraisal, and abstract thinking. It is this part that enables managers to solve problems. When the best strategic performers were examined through FMRI ( functional magnetic reasoning imaging) significantly less neural activity was observed in the prefrontal cortex than in the areas associated with “gut” responses, empathy, and emotional intelligence . In fact the conscious prefrontal cortex was downplayed—while regions associated with unconscious emotion processing operated more freely. What was also observed, was that the strongest performers’ tactical reasoning also relied on anticipating other people’s thoughts and emotions—for instance, understanding how action plans would be received by team members tasked with implementing them. 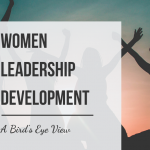 Over the years similar researches have made it possible to build the case for greater use of emotional intelligence in leadership development, particularly while thinking strategically. This can also be witnessed empirically through psychodrama workshops. In one such workshop, as the facilitator enabled the participants to explore their emotions vis-a-vis each option, the participants became clearer about the factors – logical and emotional – driving the decision. While using the cognitive focus for the evaluation of perceived risks and benefits , the process also involved processing the feelings at each step. The result – the participants could come to decisions that left them feeling assured and confident about the completeness of the decisions. 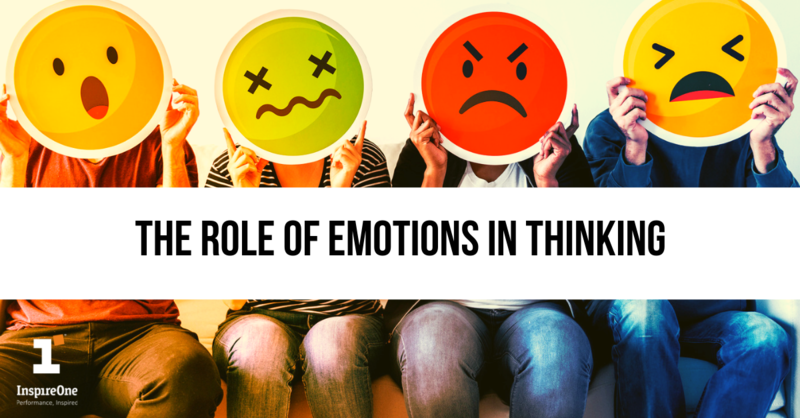 Neuroscientist Antonio Damasio’s research has established that if emotional processes are not involved, it would be almost impossible to take any decisions. And yet, in the world of training and development – the tools & processes used to build these behaviors are largely rational. Learners are encouraged to gather data, analyze information, identify alternatives, make choices based on weighted options etc. This has not undergone any significant change even though there is a widespread belief that all decisions are ultimately emotional. Current researches in disciplines like Neuroscience and now Neuroeconomics are establishing the fact that this is not an “either-or” debate. Ideal decision-making is both a rational and an emotional process. While focusing on the rational processing, it is equally important to be aware of our emotional responses and our intuition that guides us to our subconscious values, biases and desires. In addition, using emotional intelligence to consider the impact on others – both rational and emotional, is important as we go about making that ultimate choice or decision. Deciding to spend an entire life with a partner. Making a decision to give up working in an organization where personal values clash with organization work ways or culture. While the degree of logic necessary in the above situations is variable, emotions would be a strong guiding factor in decision making which may even in some situations override logic. Caution is to ensure while taking decisions largely based on emotions, pseudo logic is not being used to support the emotional choice. Another situation where emotion and impulse play a big role is when faced with imminent danger. At such times, the emotional brain takes over completely and acts very fast, this being the best response. Business decisions that have to be taken in the prevailing VUCA environment (Volatile, Uncertain, Competitive and Ambiguous)? Like when a strategy has to be created or a decision to invest in a new product has to be taken. As was revealed in the earlier mentioned research (Roderick Gilkey, Ricardo Cáceda, Andrew Bate, Diana C. Robertson & Clint Kilts, 2012), while rational decisions require analysis, it would be equally important to engage other parts of the brain besides the pre-fontal cortex, which is the insula, the anterior cingulate cortex, and the superior temporal sulcus, to determine the ideal solution. In fact in the digital world, probing, sensing and collaborating are becoming important skills while determining strategy and these skills will necessarily involve the social/intuitive part of the brain. The Interdependence of emotional and rational processes is powerfully established in recent neuro-biological studies. Making a choice between 2 equally effective solutions. Making a choice when there is a moral dilemma – eg killing a serial perpetrator, going to war etc. Dr. Antonio Damasio* suggests that emotions may be fundamental to dealing with choices with equal options, by providing a compass like aid. In the second situation which involves making moral judgments, emotional turmoil must be at play as the brain experiences the tension between the rational cost- benefit analysis and the instinctive emotional decision making. As human beings, it is important that we experience emotional pain when we are compelled at times to take such tough decisions. Else we will lose our humanness. As we navigate our way in today’s environment, we will face the paradox of information overload and the need to look at complex issues with greater focus and rationale. We will also be required to make emotional decisions quickly so as to make space and time for reflection & detailed analysis. The likelihood of emotionally driven decisions will increase. Therefore, If we can identify which decisions can be addressed emotionally, we can create the space to look at complex decisions rationally. Impulsive and totally emotional decision making is very fast & reactive. This can be helpful when faced with immediate danger or when decisions are not significant. Emotions provide a short cut for encrypting our vast experience and can enable a fast response. Listening to our “gut” ( logic of the subconscious) may help us make decisions that are highly accurate, especially in areas where we have good experience & expertise. Emotions are possible signals from the subconscious and provide information that help us make choices based on our deep needs and desires and at times based on areas beyond our self-interest. Decisions that start with logic may need emotions to enable the final selection, particularly when confronted with near equal options. Impulsive decisions could be rash and have huge consequences. Heightened emotions can hijack the rational brain. Emotions can distort facts and create biases in judgments. Finally, decision making must involve using both the rational and emotional processes while understanding their limitations and benefits. We hope that new disciplines like neuroeconomics will continue to provide comprehensive frameworks and principles that will give better insights into the processes like strategic thinking and decision making particularly where risk and uncertainty is high. # Roderick Gilkey, R. C. (Octeber 2012). Using the whole brain to improve strategic reasoning.